1960, 254 pp., see Chapter One, pp. 3-7. We add two explanatory footnotes. A spirit of pride and optimism has distinguished Western culture in the last few centuries: pride in reason as man’s instrument for his understanding and mastery of nature; optimism in the fulfillment of the fondest hopes of mankind, the achievement of the greatest happiness for the greatest number. Man’s pride has been justified. By virtue of his reason he has built a material world the reality of which surpasses even the dreams and visions of fairy tales and utopias. He harnesses physical energies which will enable the human race to secure the material conditions necessary for a dignified and productive existence, and although many of his goals have not yet been attained there is hardly any doubt that they are within reach and that the problem of production – which was the problem of the past – is, in principle, solved. Now, for the first time in his history, man can perceive that the idea of the unity of the human race and the conquest of nature for the sake of man is no longer a dream but a realistic possibility. Is he not justified in being proud and in having confidence in himself and in the future of mankind? Yet modern man feels uneasy and more and more bewildered. He works and strives, but he is dimly aware of a sense of futility with regard to his activities. While his power over matter grows, he feels powerless in his individual life and in society. While creating new and better means for mastering nature, he has become enmeshed in a network of those means and has lost the vision of the end which alone gives them significance – man himself. While becoming the master of nature, he has become the slave of the machine which his own hands built. With all his knowledge about matter, he is ignorant with regard to the most important and fundamental questions of human existence: what man is, how he ought to live, and how the tremendous energies within man can be released and used productively. The contemporary human crisis has led to a retreat from the hopes and ideas of the Enlightenment under the auspices of which our political and economic progress had begun. The very idea of progress is called a childish illusion, and “realism”, a new word for the utter lack of faith in man, is preached instead. The idea of the dignity and power of man, which gave man the strength and courage for the tremendous accomplishments of the last few centuries, is challenged by the suggestion that we have to revert to the acceptance of man’s ultimate powerlessness and insignificance. This idea threatens to destroy the very roots from which our culture grew. The ideas of the Enlightenment taught man that he could trust his own reason as a guide to establishing valid ethical norms and that he could rely on himself, needing neither revelation nor the authority of the church in order to know good and evil. The motto of the Enlightenment, “dare to know”, implying “trust your knowledge”, became the incentive for the efforts and achievements of modern man. The growing doubt of human autonomy and reason has created a state of moral confusion where man is left without the guidance of either revelation or reason. The result is the acceptance of a relativistic position which proposes that value judgments and ethical norms are exclusively matters of taste or arbitrary preference and that no objectively valid statement can be made in this realm. But since man can not live without values and norms, this relativism makes him an easy prey for irrational value systems. He reverts to a position which the Greek Enlightenment, Christianity, the Renaissance, and the eighteenth-century Enlightenment had already overcome. The demands of the State, the enthusiasm for magic qualities of powerful leaders, powerful machines, and material success become the sources for his norms and value judgments. Are we to leave it at that? Are we to consent to the alternative between religion and relativism? Are we to accept the abdication of reason in matters of ethics? Are we to believe that the choices between freedom and slavery, between love and hate, between truth and falsehood, between integrity and opportunism, between life and death, are only the results of so many subjective preferences? Indeed, there is another alternative. Valid ethical norms can be formed by man’s reason and by it alone. Man is capable of discerning and making value judgments as valid as all other judgments derived from reason. The great tradition of humanistic ethical thought has laid the foundations for value systems based on man’s autonomy and reason. These systems were built on the premise that in order to know what is good or bad for man one has to know the nature of man. They were, therefore, also fundamentally psychological inquiries. 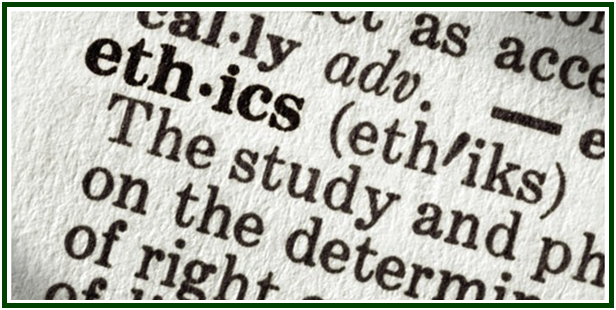 If humanistic ethics is based on the knowledge of man’s nature, modern psychology, particularly psychoanalysis, should have been one of the most potent stimuli for the development of humanistic ethics. But while psychoanalysis has tremendously increased our knowledge of man, it has not increased our knowledge of how man ought to live and what he ought to do. Its main function has been that of “debunking”, of demonstrating that value judgments and ethical norms are the rationalized expressions of irrational – and often unconscious – desires and fears, and that they therefore have no claim to objective validity. While this debunking was exceedingly valuable in itself, it became increasingly sterile when it failed to go beyond mere criticism. I have written this book  with the intention of reaffirming the validity of humanistic ethics, to show that our knowledge of human nature does not lead to ethical relativism but, on the contrary, to the conviction that the sources of norms for ethical conduct are to be found in man’s nature itself; that moral norms are based upon man’s inherent qualities, and that their violation results in mental and emotional disintegration. I shall attempt to show that the character structure of the mature and integrated personality, the productive character, constitutes the source and the basis of “virtue” and that “vice”, in the last analysis, is indifference to one’s own self and self-mutilation. Not self-renunciation nor selfishness but self-love, not the negation of the individual but the affirmation of his truly human self, are the supreme values of humanistic ethics. If man is to have confidence in values, he must know himself and the capacity of his nature for goodness and productiveness.